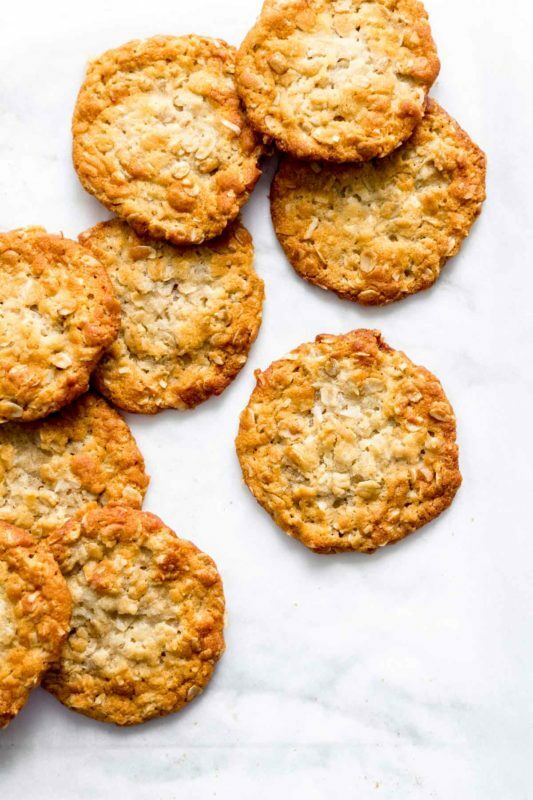 Like an oatmeal cookie but better, Anzac cookies are soft and chewy in the middle with crispy, caramelized edges. Made in one bowl, no mixer needed! Let me introduce you to my new favorite cookie! It comes all the way from the other side of the world. One of the great things about our trip to New Zealand last month was the opportunity to try the food. Unlike other trips where I knew what I was getting into with the cuisine (i.e. Italy, Portugal), I wasn’t sure what to expect in New Zealand. Former British colony…pub food? I was surprised and excited to discover that, while pub food was definitely part of the menu, there is a huge variety of cuisines and that it is all really well prepared and delicious. I loved the focus on local ingredients in every restaurant we went to, and could NOT get over the coffee. Seriously, it may sound weird, but the coffee.was.amazing. You could be at a random truck stop in the middle of the countryside, and they would have an espresso machine and serve you the best flat white you’ve ever had. I couldn’t get over it and frankly, probably overdosed on espresso during our two weeks because I couldn’t stop myself. Always, along with your flat white, there were fresh pastries and cookies (or “biscuits”) to be had. Sometimes savory pies, sometimes sweet ones. Sometimes cheese scones! But always an assortment of cookies. These Anzac cookies first caught my eye at the unreal breakfast buffet at our hotel in Queenstown, the QT Queenstown. If you ever have the chance to go, you must stay there. It was the most insane breakfast I’ve ever had at a hotel, with the most beautiful view over the lake. This isn’t sponsored at all – I just absolutely loved it. Can you blame me? That’s not a stock photo, I promise. 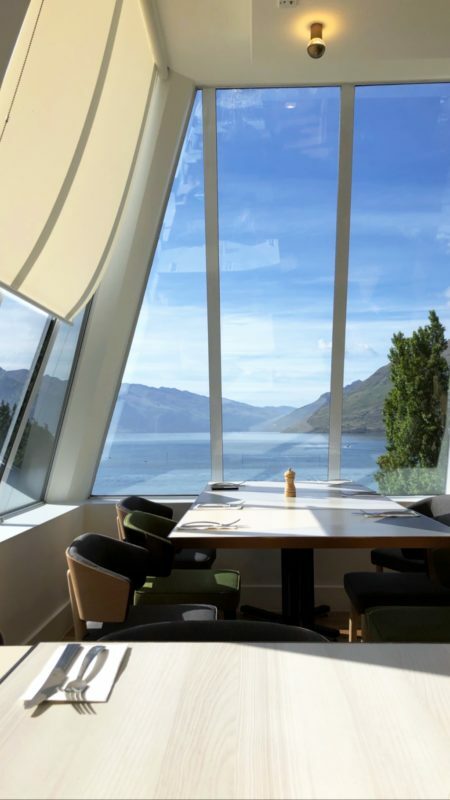 I took that photo on the first morning we spent in Queenstown, sipping my (delicious) coffee by the window. New Zealand is, without a doubt, the most effortlessly beautiful place I’ve ever been. So back to the cookie. 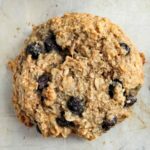 As I was perusing the fresh fruits and smoothies, meats and cheeses, full English breakfast, and extensive bread and pastry sections, this humble nubby oatmeal cookie caught the corner of my eye. I added it to the pile and, as is my practice, saved my breakfast dessert for last. 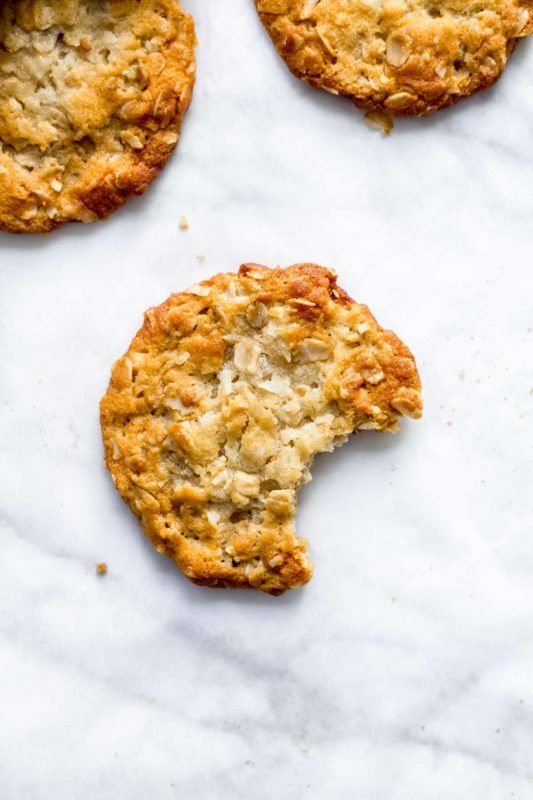 Imagine my shock when what I was expecting to be an average oatmeal cookie turned out to be something COMPLETELY different. The flavor was buttery and caramelized. The outer edges were crispy. The interior was chewy and textured and soft. There was a hint of some other rich flavor I couldn’t put my finger on. I immediately went back for another. Brian and I both devoured these cookies at every opportunity for the rest of our trip, and the first weekend after we got home I set my mind to recreating them. 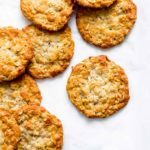 I discovered after some research that Anzac cookies, or “Anzac biscuits” as they are called in Australia and New Zealand, are actually extremely simple to make. 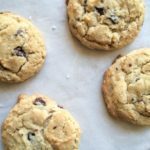 Most recipes call for melted butter (a feature you know I love in a cookie, as displayed in my recipe for the easiest chocolate chip cookies). 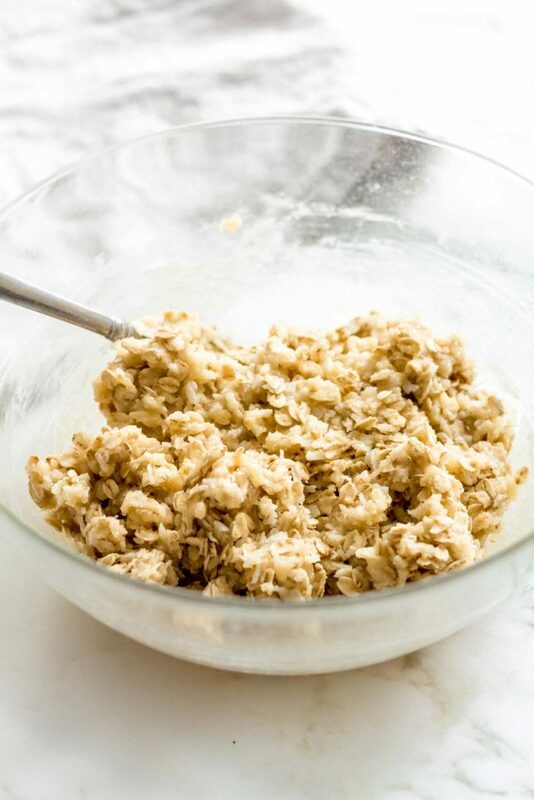 You can stir the dough together in one bowl. And the best part is, they don’t contain eggs so they can totally be vegan if you use melted coconut oil instead of butter (though I think the flavor the butter imparts is excellent). 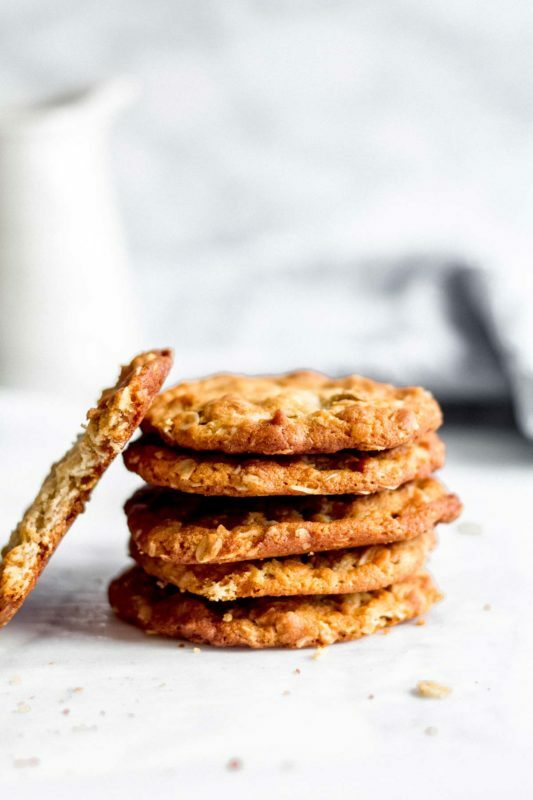 What makes Anzac cookies unique, though, is their use of golden syrup in the dough. This, it turns out, was that mystery flavor I couldn’t put my finger on when I tried them before. Golden syrup (also called light treacle) is a cane sugar syrup used often in British and Australian/Kiwi baking. It is a natural byproduct of the cane sugar refining process, one step removed from molasses (also called “dark” or “black” treacle). It’s not commonly sold in stores in the US, but you can buy it on Amazon here! 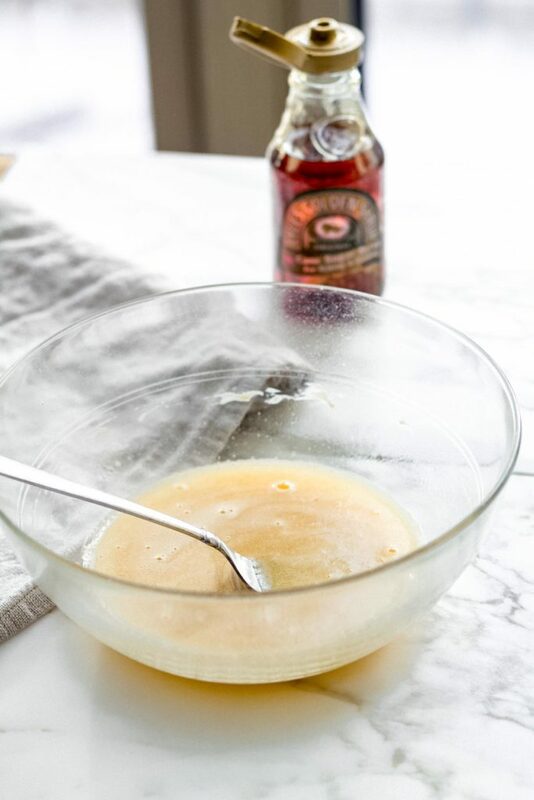 Golden syrup has a light and buttery flavor, and its viscosity is similar to honey or corn syrup. In fact, if you don’t want to buy golden syrup, you could use corn syrup here instead with similar results. I wouldn’t recommend honey since it has a very distinct flavor (unless you want that). 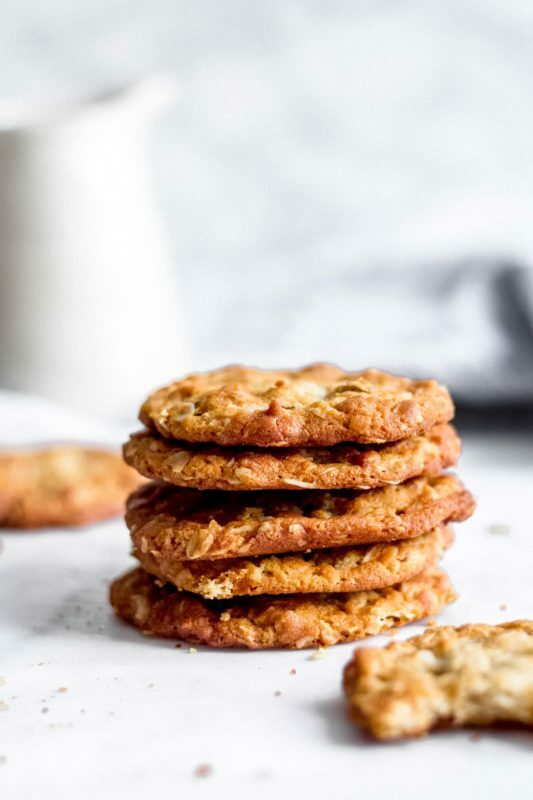 The golden syrup adds a butteryness and richness to the Anzac cookies, while also keeping them fresh longer because as an invert sugar, it is hygroscopic (meaning it attracts and retains moisture). This recipe was actually developed during WWI to last long enough to send to the Australian and New Zealand Army Corps (ANZAC) troops, and I’m sure this is why golden syrup was used. Baking science is so cool! 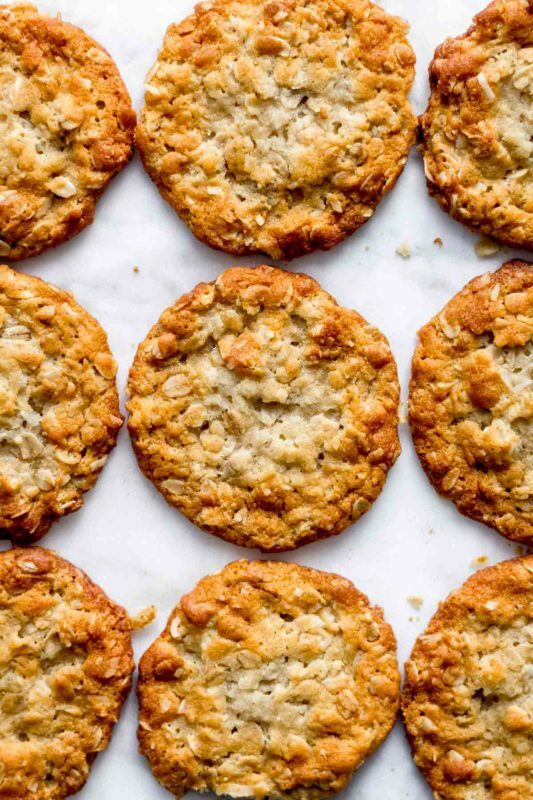 The one thing I did discover through the course of my testing (and if you follow me on Instagram, you know I went through several rounds of testing, poor me) was that although the basic ingredients are uniform in most published recipes for Anzac cookies, the baking times and temperatures recommended vary wildly from recipe to recipe. This was frustrating. After a few overly crunchy tests, I found that slightly flattening the cookie dough balls and then baking for 10 minutes at 350 degrees F was the appropriate method. This yielded perfectly crisp edges, yet chewy interiors, just the way I remembered it. 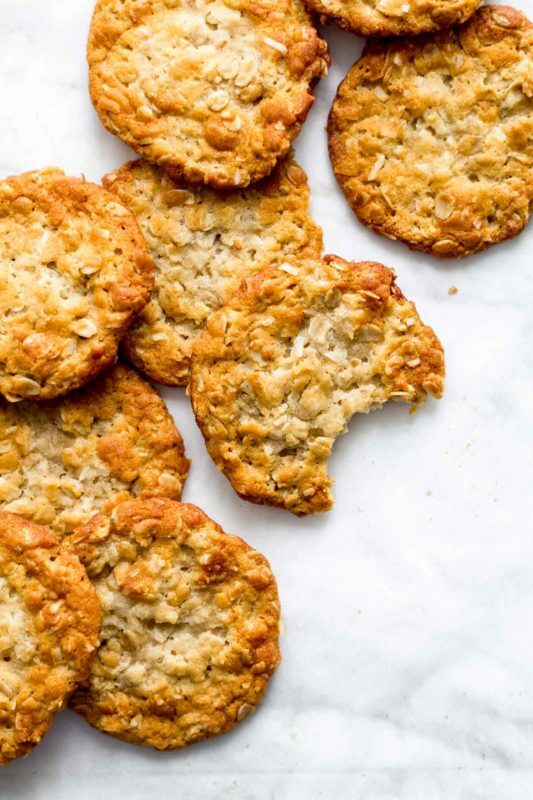 I hope you try these humble yet delicious Anzac cookies for yourself. They’re worth it! 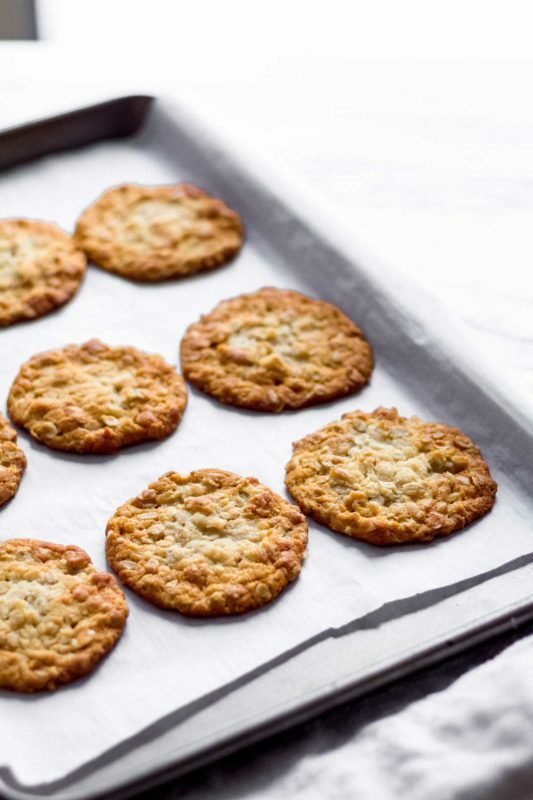 Preheat your oven to 350 degrees F. Line 2-3 cookie sheets with parchment paper and set aside. In a large microwave-safe bowl (or on the stove), melt the butter and golden syrup until bubbling. Whisk in the baking soda and hot water – it may bubble even more, and that’s ok.
Whisk in the sugar and salt until well-combined, then stir in the flour, rolled oats, and shredded coconut until a dough is formed. Scoop the dough by rounded tablespoons (I use a #40 size tablespoon cookie scoop), roll dough into balls in your hands, and place at least 2 inches apart on the cookie sheets. These cookies spread! Flatten each dough ball slightly with your fingers. Bake for 10 minutes, or until cookies are brown around the edges but still pale in the center. They may look underdone, but they will firm up as they cool. Serve! 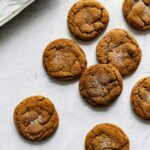 Cookies will keep for up to one week in a tightly sealed container at room temperature. Baked cookies will also freeze, well-wrapped, for up to 3 months. 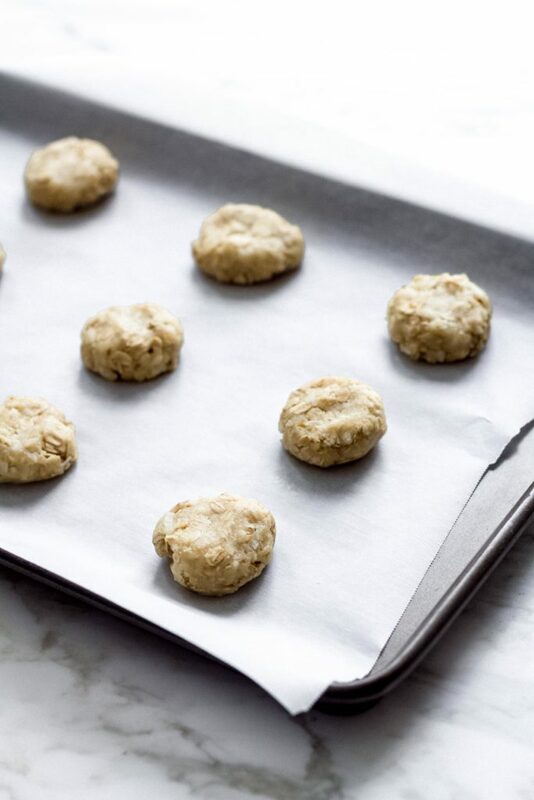 The unbaked dough also freezes well – scoop dough into balls, freeze on a plate until frozen, then place dough into a freezer bag for cookies whenever you want them! Bake directly from frozen, adding a minute or two to the baking time. I loved this recipe but my cookies didn’t spread at all! Tasted amazing though – I immediately made a second batch! Yay!! I’m so glad you enjoyed these! Make sure you measure your flour using the “spoon and level” method – it produces a lighter cup of flour than scooping directly from the back with the measuring cup. That might be the issue with the spreading!